Mahindra has sure come a long way from the days of the Armada as an SUV maker. Products like the Scorpio and XUV500 have not only done well for the brand, but have also helped Mahindra in elevating its status and now, Mahindra is keen on moving further up the SUV ladder with the Alturas G4, its most premium SUV yet. 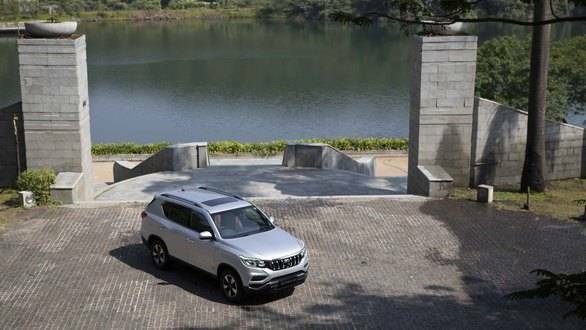 Sold internationally as the SsangYong Rexton G4, the Alturas made its first appearance in India at the 2018 Auto Expo and is finally going on sale in the country. 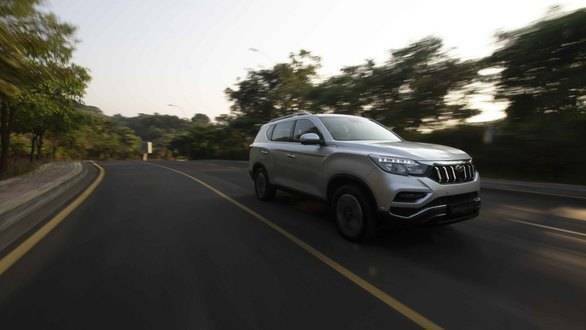 What makes the Alturas G4 all the more interesting is the fact that it is being launched in one of the most important SUV segments in the country, the full-sized, seven seater premium SUV segment. 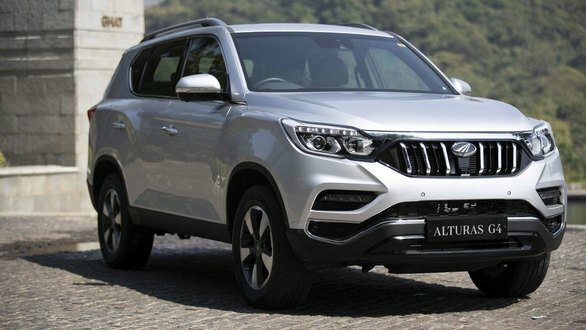 Effectively, the Alturas G4 is up against heavyweights like the Ford Endeavour and Toyota Fortuner, which need no introduction as two of the most popular SUVs in the country. This means the Alturas G4 clearly has its task cut out already. A quick spin helped us acquaint ourselves with it. The Alturas G4 is a significant step-up for SsangYong  and Mahindra correspondingly  when compared to the Rexton RX7 and RX6. A full generation change, the Alturas looks a lot fresher and more contemporary in comparison. It doesn't have the butch appearance of a full-sized SUV but looks eye catching. Mahindra has replaced the Ssangyong grille with an upmarket version of its own grille with chrome linings on the slats, which looks quite nice. The intricate headlamp design adds to the looks, along with the LED daytime running lamps. From the sides, the Alturas looks long and slightly squat and the strong character lines coming in from the headlamps and tail lamps look slightly overkill, but I do like the sharp line on the front door. The SUV is sold with 20 inch wheels internationally but Mahindra but the Indian version runs on 18 inch alloys shod with 255/60 R18 Hankook tyres, though I felt the larger wheels would have made for better visual appeal. The rear looks distinctive thanks to the tail lamp design and even reminded me of the Tivoli in fact. On the whole the Alturas G4 looks appealing from most angles and has the road presence you expect of a full-sized SUV. 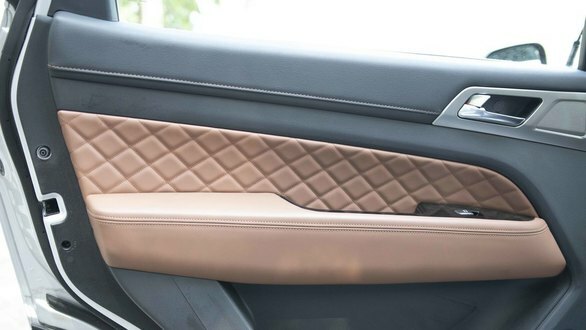 Interiors boast quilted nappa leather, brushed metal and wood which makes for an air of classiness. The dashboard layout is conventional with an 8 inch touchscreen taking centre stage, but it is the quilted leather that lends it a premium look. Quilted leather on the seats and door panels, ambient lighting and a sunroof also help the Alturas offer the feel of belonging to a higher segment. The steering wheel does not feel as premium as though and could have been finished better while quality of plastics used on some of the switches and indicator/wiper stalks could have been better too. The second row is spacious and comfortable, especially since the seatback can be reclined. The third row lacks under thigh support and kneeroom though and is best suited to kids. Also, third row air-conditioning vents are placed rather oddly on the right side, which means the person sitting on the right will block a lot of the air. 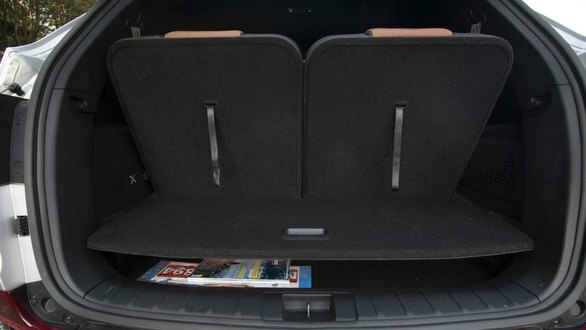 Boot space is decent with all three rows while flipping the third row down liberates a lot more space. The Alturas G4 also features a cleverly designed parcel tray which can hold up to 60kg and effectively creates two 'storeys' and even hide stuff under it if needed. Neat! The Alturas G4 comes loaded with features, many being segment firsts. These include nine airbags, a 360 degree surround camera, ventilated front seats and easy ingress and egress function with the driver's seat sliding back electrically to offer more space. These are features only seen in more expensive cars previously. Of course, that's not the end of the list. The headlamps are HID units while fog lamps are LEDs with cornering function. 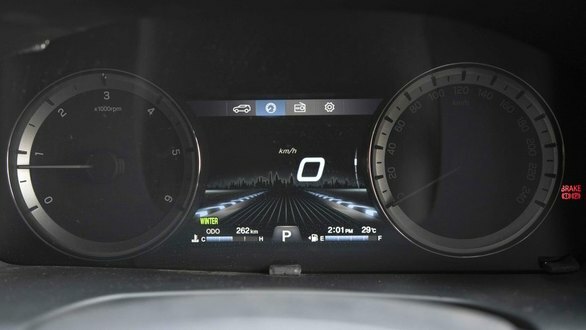 Then there's dual zone air-conditioning, Apple CarPlay and Android Auto connectivity, a tyre pressure monitoring system, rain sensing wipers and a smart function for the boot that lets you open it by simply standing in front of it with the key in your pocket. Unlike the Ford Endeavour, you have to flip the third row seats down manually though, which is a miss. The instrument binnacle includes a TFT LCD display which can work as a digital speedometer and is also is your gateway to a plethora of customisation options  you can even change the click-click sound of the turn indicators to a musical chime! 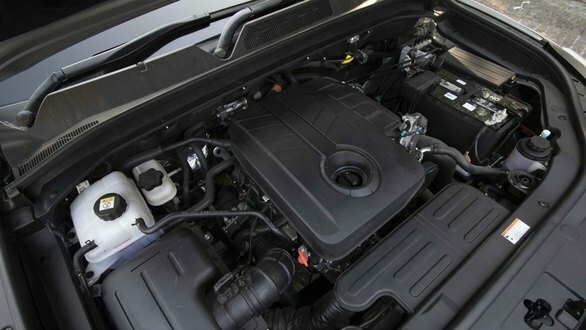 Under the hood of the Alturas is a 2.2-litre four-cylinder diesel engine good for 180PS and 420Nm, and peak torque is delivered 1,600rpm onwards. Power is sent to the wheels via a Mercedes-Benz sourced seven-speed torque converter automatic gearbox. 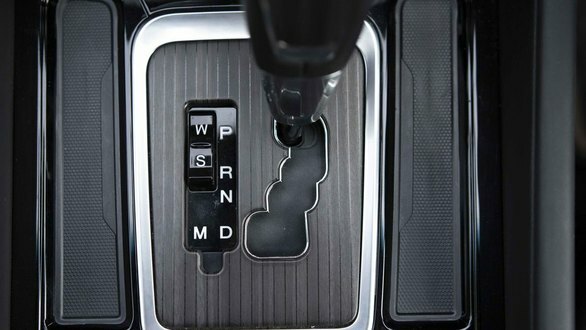 The Alturas is being offered in a two-wheel and four-wheel drive format and the latter comes equipped with a proper four wheel drive system, with a rotary knob positioned on the centre console to let you shift on the fly. The engine sounds clattery at idle but feels refined, be it at standstill or on the go. There's a momentary lag when you step on the throttle, almost like having to wait for the water to gush out of the tap, but when it does, the Alturas is reasonably quick. The SUV's heft clearly shows though, given its large dimensions as also its two tonne plus kerb weight. That said, midrange is impressive and in-gear acceleration is reasonably strong so overtaking shouldn't be a chore. The seven speed torque converter does a fairly good job of swapping ratios too and stepping on the throttle has it drop one or two ratios down depending on where you are in the rev range to help accelerate quickly. We couldn't really drive the Alturas at highway speeds but cruising should be an easy and comfortable affair. The diesel engine makes itself audible, but apart from engine noise the Alturas G4 is extremely silent inside, thanks to great insulation. There's barely any road noise or tyre noise, which is really impressive. This should add to highway manners as well. Mahindra tells us the suspension has been made slightly softer to deal with Indian road conditions. The ride quality is thus supple and the Alturas G4 glides over broken tarmac and potholes rather well. It uses a body on frame chassis, which coupled with the suspension setup causes body roll around corners, though the roll is controlled. The steering does a decent job of helping you turn the big SUV around corners but it isn't the most direct setup and feedback could have been slightly better too. The Alturas G4 also makes its heft felt when braking hard. There's enough braking power available and it also stays perfectly stable but hauling it down from speeds does take a moment given the dimensions and weight. The Alturas G4 impresses on various fronts. 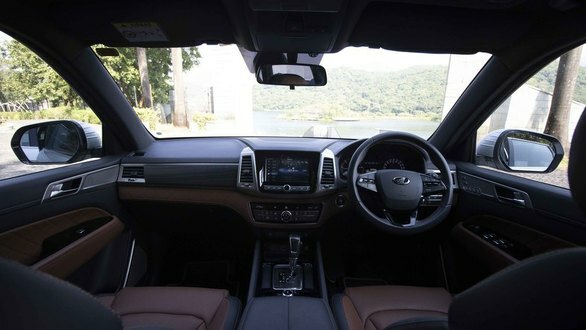 Its likeable design coupled with the large dimensions will help it appeal to buyers looking for lots of road presence while the comfort, elaborate feature list and well-appointed interiors should help it find favour with those wanting a premium family SUV. The engine is refined and offers adequate performance as well while handling is reasonably good too. 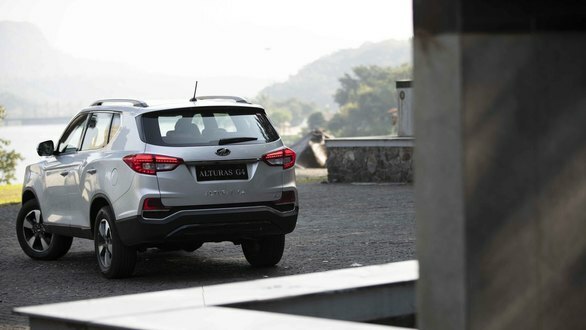 So the Alturas G4 is an interesting addition to the full-sized, seven-seater premium SUV segment, which has been dominated only by the Fortuner and Endeavour till date. We expect the Alturas G4 to undercut its rivals on the price front, which coupled with the familiar Mahindra badge should help it find favour with buyers and also help Mahindra elevate its status further as an SUV maker. Prices of the Mahindra Alturas G4 will be revealed in the evening on Saturday, November 24, stay tuned for updates from the launch event!